Gustave Eiffel was born Dec. 15, 1832 in Dijon François-Alexandre Eiffel and Catherine Mélanie Moneuse. He spent her early childhood with her maternal grandmother in the same city, where he will integrate high school. In 1850, at its output the pocket bachelor, he left Dijon to enter college Ste Barbe for the preparation of the Polytechnique entrance exam. But it fails and chooses to enter the Ecole Centrale de Paris which he released in 1855. Her specialty graduate then chemistry, but professionally speaking he turned to metallurgy, business area know that her mother and which it has relations. His career began when he was hired by Charles Neveu, a steam machine manufacturer and equipment for railways. He will make her debut but remained there only one year since 1857 is taking the responsibility of the office of studies and Pauwels Company. It is in this endeavor that he will make her first works of art. Between 1858 and 1860 he got down to studying the Bordeaux bridge. In 1866 he left the company and Pauwels and settled consulting engineer on her own, then the following year, created her own company with which he created a viaduct of the railway line between Commentry and Gannat. This viaduct will occupy until 1871. Until 1873 he worked for various projects viaducts Spain, Romania, Portugal, Egypt, Latin America and the Viaduct Thouars, on the Brive-Tulle line. In 1875 he designed the Western Railway Station in Budapest and the following year the Maria Pia Bridge, which spans the River Douro, Portugal. It will then make some works for the Universal Exhibition of 1878, and metal structures of the Bon Marché, Crédit Lyonnais in Paris, that of Birrh cellars in Thuir, near Perpignan, etc. In 1879 he committed to building bridges of Viana and Beira Alta, Portugal, and in 1880 the bridge of Szeged, Hungary. From 1880 to 1884 he spent much time on what is sometimes considered a masterpiece, the Garabit viaduct. During this period he continued to work on other projects, delivering Cubzac Bridge (1882), the viaduct over the Tardes (1883), the dome of the great equatorial in the Nice Observatory. It is diversifying a bit by creating removable bridges he does send in Indochina. In 1885 he made an original work which changes her habits. It designs and builds the internal structure of the statue of liberty which is relatively complex to make. The works of 1887-1889 are primarily devoted to building a 300m tower in central Paris for the 1889 World's Fair This is the famous "Eiffel Tower", but it's also one of those latest achievements. The blower of Gustave Eiffel, rue Boileau, Paris. During construction of the tower that bears her name, Gustave Eiffel continue to operate its business. Thus in 1887 he signed a major contract for the Panama Canal, but it is precisely this agreement which will lose. Involved in the Panama scandal, he was sentenced before the Court of Paris, well that this judgment is subsequently broken. Gustave Eiffel then refocuses on its tower and the benefits it can yield. It begins with use, as expected, the tower of the twenty years that he has the rights. It rises in 1909 an aerodynamic laboratory he uses to experiment with a test device designed. He deduced the physical properties of the shape of airplane wings. It will also install a meteorological tower on the laboratory. 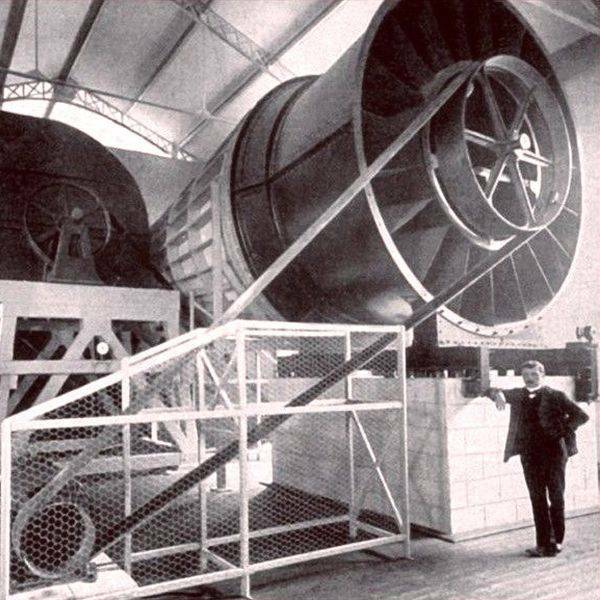 All these scientific experiments led him to build a wind tunnel (in 1912) it installs Boileau Street in Paris. Thanks to him aerodynamics has made great progress during this period. The interest Gustave Eiffel took to scientific experiments is inversely proportional to the amount of work provided by her company, which eventually cease operations. His private life was marked by her marriage July 8, 1860 with Marie Gaudelet. 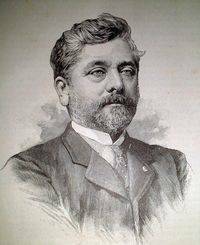 Gustave Eiffel had five children, three girls and two boys. The eldest, Claire, was born in 1863, three years after her marriage. Her wife will die sadly in 1877, shortly before her own mother. 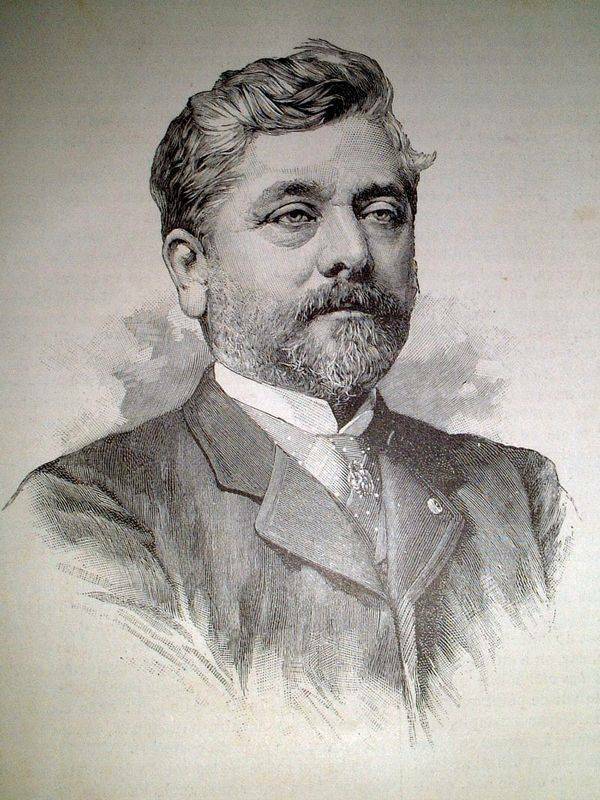 Gustave Eiffel died 27 December 1923 at the age of 91.